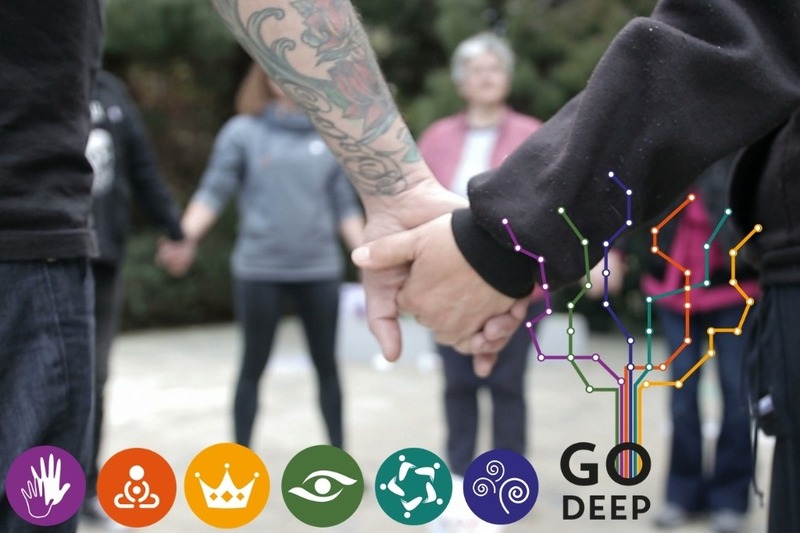 From the beginning of the fall of 2018 Go Deep programs are being implemented across Europe to explore and show the power of community as a source for innovation and relationship between refugees, migrants and locals. One hundred participants will work on eight to ten actions/projects in three different cities, in socially challenged neighborhoods. This will not only lead to concrete outcomes, but all involved will also be trained so that they can continue working with this method in their personal life, work life and community life. Find out more about San Cristobal (Spain), Edinburgh (Scotland) and Grotagglie (Italy) below. So scroll down to find out more about the communities, Go Deep, what you can get as a gift and especially to DONATE! Want to know more about the communities? San Cristóbal is a community in Southern Madrid. We were invited by a community project called Cinesia, a local platform/network formed by many diverse associations. They have an empty building that has been donated for use by the city council and will be occupied by various projects and stimulating proposals originating from people who live in the neighborhood. The game supports the process of bonding, meeting new people that can join with their own projects and networking with people and projects from other areas. 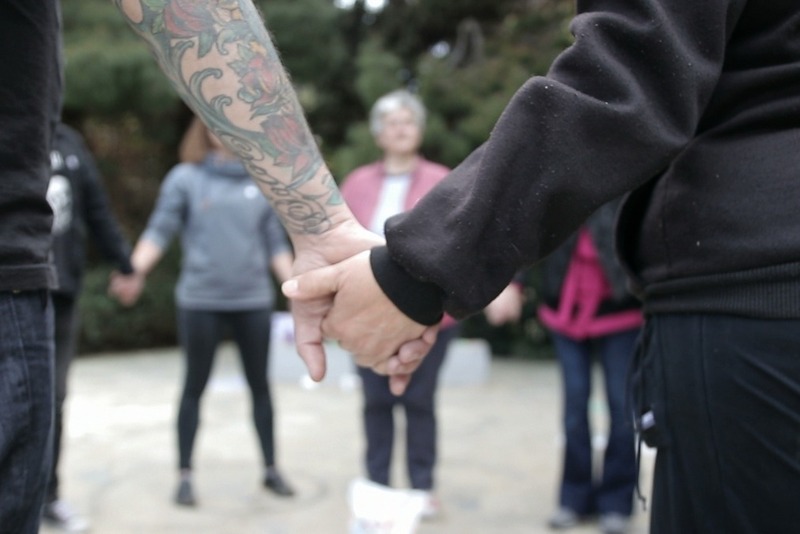 Participants include: locals living in the neighborhood, locals that participate in the collective Cinesia, people from other areas in Madrid interested in learning the game and experiencing the process, people facilitating other participatory processes focused on diversity from other regions. We have more than ten nationalities and cultures in our group, as well as diversity in mental health, mobility and sexual identity & orientation. Edinburgh’s south-side is close to the city center and made up of a wide range of housing types ranging from 18th and 19th century buildings, to modern 1960’s public housing projects and university housing for students. The area borders the Scottish Parliament, the Queen’s Edinburgh residence and the University. Diverse groups of people live and work in this area and a variety of issues and challenges. The neighborhood has community run shops and cafes which provide low income solutions for local people. The mix of long term residents and people who are coming into the area to live is very much in flux. The game is based in an old church which has recently converted to a community center. Facilitators and participants in the game are a mix of people form local community associations, neighbors and also many people with diverse background, including people in recovery and people who have migrated into Scotland. The Go Deep game takes place in a small town called Grottaglie, in South Italy. We were invited by a community project called Piazza Viva, that is a local network that works to transform an old covered market in a cultural center. They work with migrants, theater, cultural conferences, young people and want to prevent that the market becomes a car parking lot! The game supports the process of involving new people and associations in the project Piazza Viva, the creation of stronger relationships between the traders, the neighborhood and Piazza Viva’s people. It also creates an interest around the market for more people, to bring awareness to the objections of it being converted into a parking lot. The goal is to find new ways to revitalize this old market and to connect people. Participants are neighbors, people from Piazza Viva network, young migrants that live in Grottaglie, several young people (18-30 years old) from all around Italy, social workers in the field of immigration and diversity who are interested in learning the game. There are more than 40 people involved in the training and more than 60 involved in the game. 1 – 40 €: you will get a thank you video and on the occasion we meet you, you’ll receive the set of 6 buttons of the 6 themes and lines of the Go Deep Game. 41 to 100 €: you will receive a printed and nicely packaged set of “emergency cards” in your mailbox. Not email, but the traditional post. One of the card-sets of the Go Deep Game is a set of cards that can help you overcome blocks in group-processes in a creative way. You can have them in your hands with this donation! 101 to 200 €: you will receive the invitation to join the Go Deep Festival in Amsterdam on March 9-10, 2019 (this includes participation fee, materials and a one night stay for the night of 9/3/19). 201 -to 400 €: you can join any of the next Go Deep trainings in Europe for 5 days (this includes participation fee, materials and other aspects depending on the local conditions of the training0. You’ll be our honored guest.